Abdominoplasty surgery removes excess skin and fat from the abdominal area and tightens the muscles of the abdominal wall. “Tummy tuck” surgery helps patients achieve a flatter and toned abdomen and a slimmer overall appearance. Clothing fits better, helping you feel more confident and comfortable. Tummy tuck surgery is for both men and women whose bodies have undergone dramatic changes from weight loss or pregnancy. 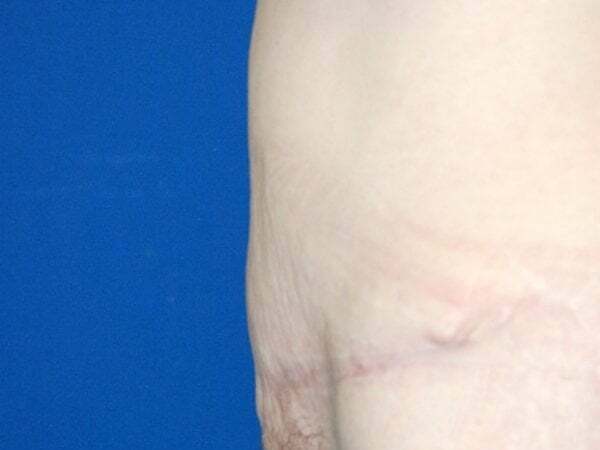 The older method of performing abdominoplasty required the use of suction drains to prevent accumulation of fluid under the flap of tissue created in the procedure. Drains, in the form of plastic tubing, were sutured to the skin, causing discomfort and limiting the patient’s mobility after surgery. Drains could become dislodged, cause pain and irritation. Patients were not allowed to shower while the drains were still in place. Drains used to be in place for weeks. They were uncomfortable, a potential site of infection, difficult for patients to manage and must heal after removal. The Newer Method, “Tummy Tuck with No Drains” Performed by Dr. Gray for 10 years. Now, tummy tuck surgery can be performed without using any drains at all. The benefits of Tummy Tuck with no drains are that it is a safer operation than traditional abdominoplasty. It provides better results than the traditional tummy tuck procedure. Patients experience a quicker recovery. Patients have less pain than with traditional method and are up and about in just a few days. The most important benefit is that drainless tummy tuck significantly improves the contours and shape of the abdomen and overall body proportion. This procedure avoids the use of drains entirely. It works because it eliminates the space for fluid to accumulate. Tummy tuck with no drains removes excess fat by liposuction from the abdomen. 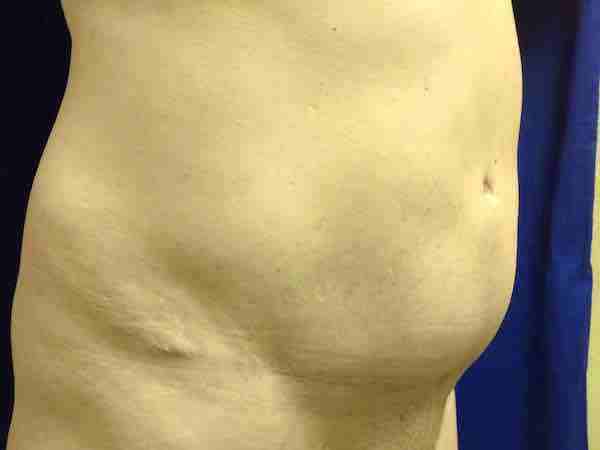 Then muscles of the abdominal wall are tightened and excess skin on the abdomen is removed. The remaining skin is sewn together, closing the space and leaving no room for fluid to accumulate. Progressive tension sutures hold the tissue together, controlling abdominal movement during the healing process. Patients are up and about in just a few days. Patients are much more comfortable without drains being attached and having to empty them or have the surgeon withdraw fluid. This method also results in less pain after surgery, and provides a quicker recovery, of critical importance to patients. Men and women who are in good health but who have fat deposits around the abdomen which are out of proportion to the rest of their body and are resistant to diet and exercise. Men or women who have lost a large amount of weight and are left with loose, hanging skin. Women who have had pregnancies in which the abdominal muscles have been badly stretched, weakened, or separated beyond that which can be returned to a normal contour. 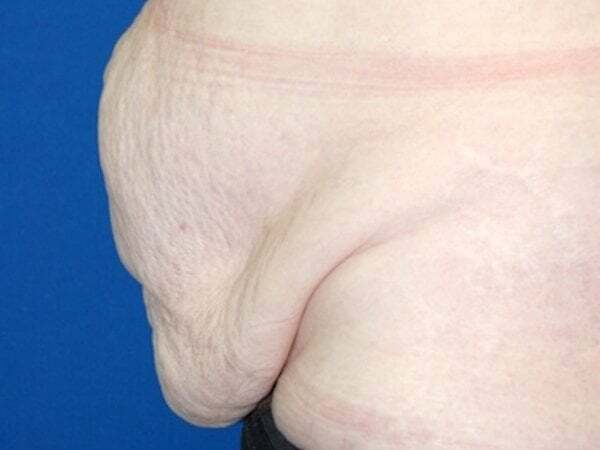 Older patients who have lost elasticity in their skin and have, perhaps, been somewhat overweight. Often, liposuction of the hips and/or thighs can be done at the same time for a better body contour. With proper diet and exercise, tummy tuck results are long lasting. Dr. Gray will discuss the goals and expectations of your abdominoplasty surgery with you at length in your consultation. 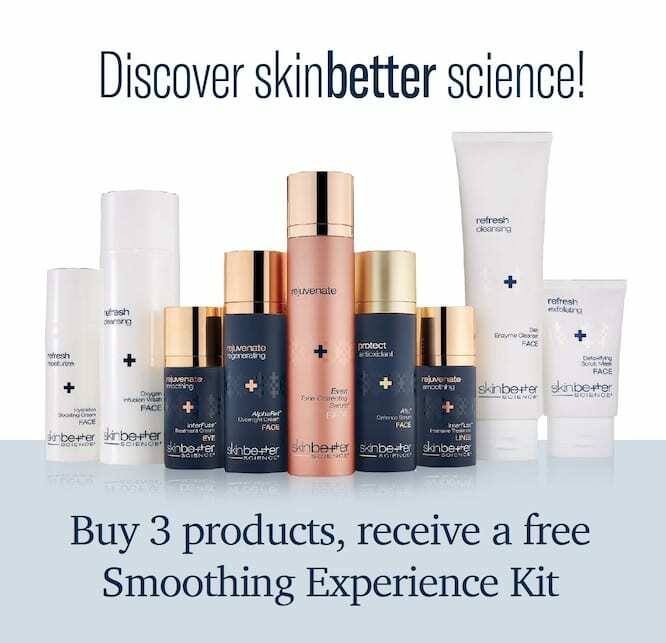 We want you to have the best possible results and to be very happy with your outcome. What Happens After Your Abdominoplasty Surgery? It may take you a few weeks to a couple months to feel completely like your old self again. Some people return to work after two weeks, while others take three to four weeks. An exercise program, starting slowly at first, will help reduce swelling, lower your chance of blood clots, and tone your muscles. Weight is no longer a concern because Tummy Tuck with no drains has vastly increased the blood supply compared to the conventional tummy tuck. Incision lines, placed so that they will easily be hidden by clothing, will diminish after your plastic surgery but will be permanently visible. They may even appear to worsen during the first three to six months. In six months to one year, they will flatten and lighten in color. Contact Atlantic Plastic Surgery Center to find out more about abdominoplasty and other types of plastic surgery. Boston, Massachusetts and Maine are near our southern New Hampshire offices, and across the country. It is important to remember that you will have a permanent scar, but it is hidden well below an underwear waistline will heal and fade over time. The results of your tummy tuck will be permanent unless you gain or lose a significant amount of weight or become pregnant. Dr. Lawrence Gray presented this method of Tummy Tuck with Liposuction: No Drains Needed at the annual meeting of the American Society of Aesthetic Plastic Surgery in New York City, held April 11th to 16th and at the annual meeting of the Northeastern Society of Plastic Surgeons in Washington, DC, September 18th to 21st, 2013. Dr. Gray presented the course, “Scarpa Sparing Abdominoplasty with Comcomitant Liposuction: No Drains Needed” for the 4th year in a row to the annual meeting of the American Society of Plastic Surgery. This year the national conference was held in Las Vegas, Nevada from April 2nd to 7th, 2016. Dr. Gray’s course, Scarpa Sparing Abdominoplasty with Concomitant Liposuction; No Drains Needed, was selected to be a part of a new education program, the Aesthetic Immersion Modules (AIM), at The American Society for Aesthetic Plastic Surgery (ASAPS) to be held in San Francisco, California, April 2014. Dr. Lawrence Gray, Dr. Brannon Claytor and Dr. Michael Baker, anesthesiologist, presented a course entitled Tummy Tuck with Liposuction: No Drains Needed at the annual meeting of the American Society of Aesthetic Plastic Surgery in New York City, April 11th to 16th, 2013 and then again April 24th to 29th, 2014 at the annual meeting of the American Society of Aesthetic Plastic Surgery in San Francisco.